California’s complicated water rights system, infrastructure, and distribution make it difficult for people to understand the varying degree of the water supply problem in each region and locally-appropriate solutions that can help us more wisely steward our freshwater resource. Despite this crisis, I could not be prouder to live and work in this state known for its ingenuity, innovation, agricultural productivity, and beautiful ecosystems. California is one of just five Mediterranean climates in the world, and we boast the richest biodiversity and the greatest number of species endemic to a single U.S. state. Simultaneously, California’s landscapes are ideal for growing 350 different crops. Our state produces half of the nation’s fruits and vegetables, 80% of its nuts, and 20% of its cheese and milk. At Sustainable Conservation, where I am fortunate to work, our roots date back more than 20 years when, more often than not, environmental groups and businesses were pitted against each other in court or at the state capitol to fight about the state’s environmental problems. This combativeness is unfortunately still present today. The finger pointing continues, with some who are pitting urban centers against rural communities for their water use to produce our food. Since 1993, we’ve worked to bring together landowners, business and government to understand an array of perspectives about the toughest challenges facing California’s land, air and water, and find common ground that enable us to steward the resources we all depend on in ways that make economic sense. While multiple ways exist to count water use, the two most frequently cited are 1) California’s annual average developed 80 percent agriculture, 10 percent commercial, and 10 percent residential; and 2) approximately 50 percent environmental, 40 percent agricultural and 10 percent urban (commercial and residential). Developed water use is only counting human water use, and total water use includes developed and environmental water use. However, these numbers vary by sector, across regions, and between wet and dry years, according to water researchers. A critical element of California’s water supply is groundwater. Best estimates are that California’s approximately 500 known underground aquifers hold 10 times as much water as all of our surface reservoirs combined. The large quantity of water beneath the surface has given rise to the misconception that groundwater is an inexhaustible resource that can be limitlessly tapped. While the volume of groundwater is very large, many aquifers are being over-drafted by removing groundwater more rapidly than it is replenished. The current drought did not precipitate today’s groundwater decline, but it has made it worse. Groundwater overdraft started in the 1920s, partly due to advances in technology, such as diesel pumps, that allowed landowners to drill deeper wells and reduce their dependence on surface water flows. Groundwater overdraft has increased as populations, agriculture and industry have grown. We are all in this together, and we need to apply the ingenuity and innovation for which our state is known to move forward together. I am honored to work with an incredible team and outstanding partners, and I want to share an example from our regional efforts. Cameron stands in an Acala field. 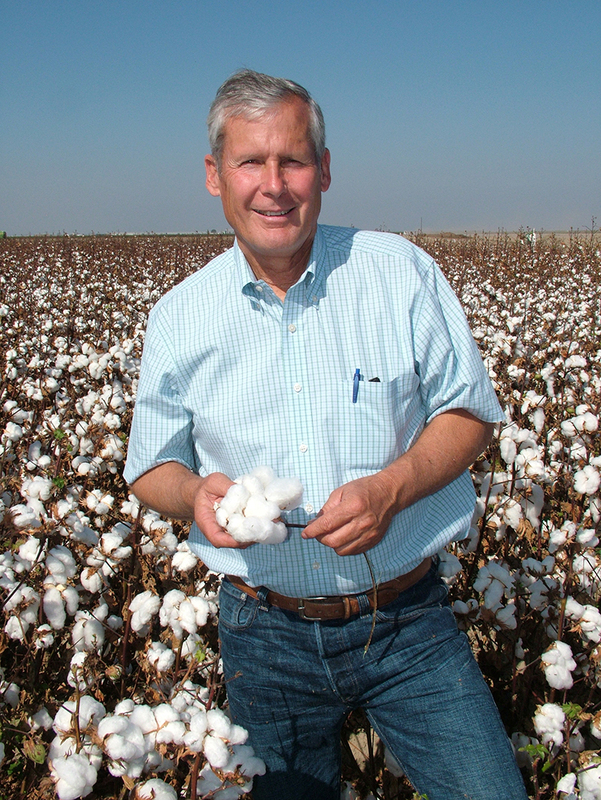 In the Kings River Basin, located in the San Joaquin Valley and at the epicenter of the most productive agricultural county in the nation (Fresno County), Don Cameron, Vice President and General Manager of Terranova Ranch, farms a mix of 26 different crops (conventional and organic) ranging from nuts to cotton to wine grapes. Don is acutely aware of the significant groundwater overdraft that this basin – and other basins in the San Joaquin Valley – faces. And he also knows, which we all are feeling the impact of right now, California’s precipitation varies widely across years. 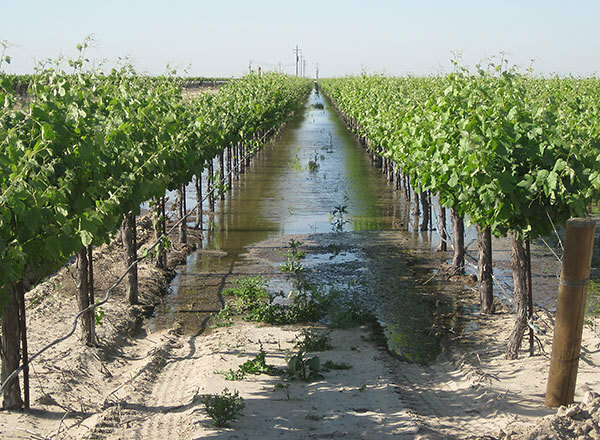 This region has experienced flooding in the high water years during which many local water agencies and irrigation districts utilize flood water and direct it to dedicated groundwater recharge basins where it can infiltrate the soil and percolate into the underlying aquifer. Don recognized that not all of this floodwater was being captured by recharge basins and the excess has caused costly flood damage to downstream communities. Together with our partners, Sustainable Conservation worked with Don in the high water year of 2011 to test an unusual practice of applying flood water from the Kings River onto active cropland to help recharge the groundwater. His neighbors thought he was crazy when they saw standing water spread across his valuable vineyard acreage for weeks. As we had hoped, Don was able to recharge a significant amount of water to the aquifer without suffering any yield losses. We are scaling this solution by engaging additional farmers, irrigation districts, water management agencies and the Kings River Conservation District to accept flood flows onto working cropland. High water years will occur again, and this innovative strategy, along with other options, like dedicated recharge basins, can help balance our groundwater aquifers in the San Joaquin Valley and beyond. I hope that my positive outlook does not come across as out of touch given the severity of the current drought. As I drive between our San Francisco and Modesto offices, and visit farms and communities across the San Joaquin Valley – where I used to live – I see firsthand the impacts of the drought on people and our environment. I encourage others to share their stories of collaboration and innovation because I think many are looking for other perspectives than the divisive points of view currently in the daily news. Please know that Sustainable Conservation is not alone in our work, and I am heartened by the many other efforts to find common ground for a thriving future in California. Kelli McCune (2014 Fellow) has worked at Sustainable Conservation for almost six years. She focuses on engaging companies in our regional collaborations with farmers, government, irrigation districts and water management agencies to develop solutions that help balance our water supplies. She also contributes to the team effort to make it easier for landowners to restore streams, rebuild habitat and reduce soil erosion, which result in improved wildlife habitat and water quality. Prior to joining Sustainable Conservation, Kelli worked for the Bureau of Land Management in California and southeast Arizona, assisting with the management of a variety of species conservation and habitat restoration projects. Kelli received her master’s degree from the Bren School of Environmental Science and Management at UC Santa Barbara, and she holds a BA in environmental science and Spanish from Northern Michigan University.